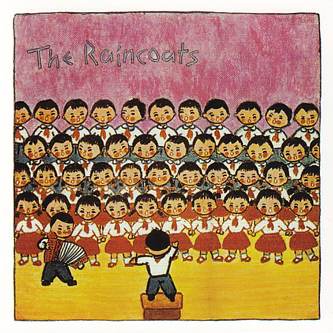 Originally released in 1979, The Raincoats' debut album gets another reissue, this time remastered and via the band's own We ThRee imprint. The pioneering, all-female band assured their place in the pantheon of British independent music with this, their self-titled debut record in 1979. Co-produced by the band with Rough Trade’s Geoff Travis and Mayo Thompson (Pere Ubu, Red Krayola), it arrived in parallel to another all-female punk precedent, The Slits to provide a more melodic, less snotty strain of post punk aesthetics for many listeners including Kim Gordon and Kurt Cobain, who would later write sleeve notes on their reissues and often speak of The Raincoats’ influence over their own music. Tracks like 'Fairytale In The Supermarket', 'No Side To Fall In' and the gloriously weird 'The Void' still sound terrific, and the band's notorious cover of The Kinks' 'Lola' remains inspired, reproducing the original affectionately and accurately, albeit with a heap of ramshackle instrumentation. Co-produced by Rough Trade founder Geoff Travis and The Red Krayola's Mayo Thompson, this record is steeped in history, and its immediacy, vitality and all-round inspirational qualities have lost none of their impact.